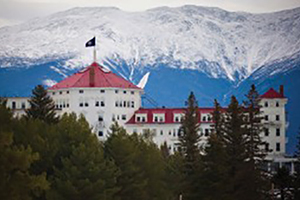 Mount Washington, called Agiocochook by some Native American tribes, is the highest peak in the Northeastern United States at 6,288 ft (1,917 m) and the most prominent mountain east of the Mississippi River. The mountain is notorious for its erratic weather. On the afternoon of April 12, 1934, the Mount Washington Observatory recorded a windspeed of 231 miles per hour (372 km/h) at the summit, the world record for most of the 20th century, and still a record for measured wind speeds not involved with a tropical cyclone.